The old hands are slowly accepting the fact that in the 21st Century smartphone will be used more often than not on the Camino. What are your thoughts on the iphone/ipod touch vis a vis the battery life, also how to make best use of the versatility of this one gadget which can replace many other gadgets. How do other phones/intelligent touchscreen phones compare in Singapore. What would you recommend? I write to you direct as the Camino forums have too many anti-modern equipment zealots and they tend to flame questions on anything which they consider taboo to use on the Camino. My reply to Joe, and hopefully I am not treading on other toes here. Interesting. Are you planning for your camino soon? First the conditions in the camino. Weight is essential. So you'd probably want minimize the number of gadgets. A smart phone now has all you need in one package. Alarm clock (I wear it with headphones to sleep), emergency contact device, camera, music player, ebook reader (I read Paulo Coelho's The Pilgrimage on my last camino. Spoiler alert! He didn't finished his camino! ), etc. Unless you are really a camera buff and don't mind lugging an SLR, a smart phone will do just fine. Don't be surprised to see pilgrims, especially in the more crowded Camino Frances lugging notebooks (crazy if you ask me). This is probably another reason why some of the folks are flaming those that uses too much technology along the camino. Battery life. Nokia is great for that, especially if you listen to music, read ebooks, alarm, and suddenly you realized that you had forgotten to charge the phone (an unused power socket can sometimes be hard to find in an albergue) and end up not charging the phone for a day or two. A Nokia phone can probably take the same load for the second day and maybe half of the third day. Not sure if you can achieve that with the iPhone or those phones running Microsoft Mobile. I use the smart phone as the all in one device. If something fascinates me along the way, it take me less than 10 seconds to take my phone out, shoot the photo, and put the phone back in my pouch. Less distraction (for me, and others). I made the point of not using the phone for any communications during my walk. After the day's walk, I'd find a public library and with my phone's WIFI do a quick picture blog for the day. I try not to use the machines at the library as I do not want to deprive the kids there the chance to use their public computers. Imagine pilgrims line up to use the computers at the library (not a good sight). In cases where there is no WIFI at the library, I carry a USB adaptor for my phone's mini-sd card to upload and do my photo blog, very quickly of course. On my last camino I manage to do that almost 70% of the time. And no more phone usage until after dinner. One SMS per day and a phone call once every week back home (time zone reason). Some ebook reading on the phone before I sleep (only if it does not disturb my neighbours). Hint: use white fonts on black background. It increases the battery life and minimize the glare. On my first 2 caminos in 2006/2007 I had an older Nokia phone primarily for taking photos and basic voice/text communication. In the last camino (via de la Plata) in 2008 I carried the Nokia e61i. I used it also to do an almost daily blogging. I am still using the same phone daily. It still has the cuts and nicks (drop the phone twice during the camino), a daily reminder of my journey for me. If you are planning to use the iPhone, be prepare for scratches and dust, unless you are ultra careful. A hardier phone is a better bet in my opinion. I even tried to use VOIP with WIFI to save communication cost. However, the experiment did not turn out well. I can't talk at the library (must be quiet) or the cafe with internet (too noisy). I'd only manage to make one VOIP call during my last camino. It was on a Sunday, the library was closed but the signal outside the library was strong enough to make the call. For my next camino (planning for Camino Norte in 2011), here's the slight revision of my technology plan. Minimize my need for WIFI. This will give me more personal time in the camino after the daily walk without trying to ask for the location of the local library or internet cafe. It would be fantastic to be able to do all that without leaving the albergue. In order to achieve that, I plan to get a prepaid local SIM card with data option (GPRS is good enough). I've been doing for my business trip to Brunei so I know it works. I have a Skype out account and will be trying out iSkoot or similar services so that the last kilometer of the call is to my local SIM card number, not WIFI. This will also minimize my need to top up the prepaid card too often and at the same time save some money on the long distance call home. For some of the albergue you may need to make a local call to ask the hospitalero for the key (Not an issue for Camino Frances, but it does happen in the other less trodden routes). Local SIM card to make local calls, another savings here. For writing I use the old fashion notepad. Ditto for the walking guide. For some things. you just don't want to put your trust on devices that uses batteries (at least not yet). Will I use a touch screen phone? Not sure. Problem for me is that I am now so used to phones with mini-qwerty keyboards it is hard for me to change. At the same time I know that it is also limiting my choices of smart phone. The age group in the camino are very spread out, from the young to the retired folks. Don't be surprise if some of the pilgrims who are against the technology are the younger ones. This is the 21th century. The only thing that is in common between pilgrims of yore and a modern one is the personal spiritual journey that awaits in the camino. 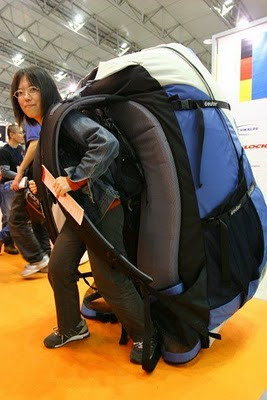 Technology is not going to do the walking for you (unless you have rocket backpack :)). That said, at the same time technology should not be a distraction to one's journey. So what technology is acceptable? Which are not? What kind of phone is best? That is the challenge, as it can be very subjective. I hope this helps answer some of your questions Joe. 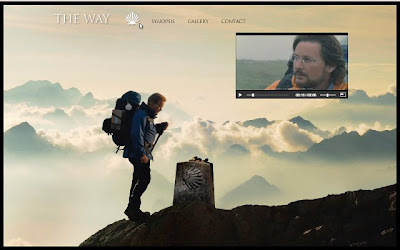 The trailer for The Way (Martin Sheen and Emilio Estevez) is out. The movie is currently in post production. No release date have been given yet. Very soon, one of the best kept secret will be out in the mainstream. It's making me want to drop everything and walk again. Chris (will be on his way to his camino later in spring), Rebecca, Richard and Denise. 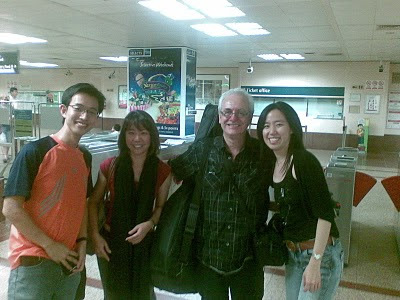 We are missing Charmaine, Adrian and Tracy. Still, this is the biggest group of Camino de Santiago peregrinos here in Singapore that I have seen .... so far. Over the year end, I had the privilege of spending an evening with a dear peregrina Bénédicte and her family near Pontarlier after our vacation around the French Auvergne region. Wow, has it already been three and a half years?